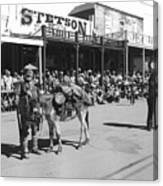 There are no comments for Jack Hendrickson With Pet Burro Number 2 Helldorado Days Parade Tombstone Arizona 1980. Click here to post the first comment. 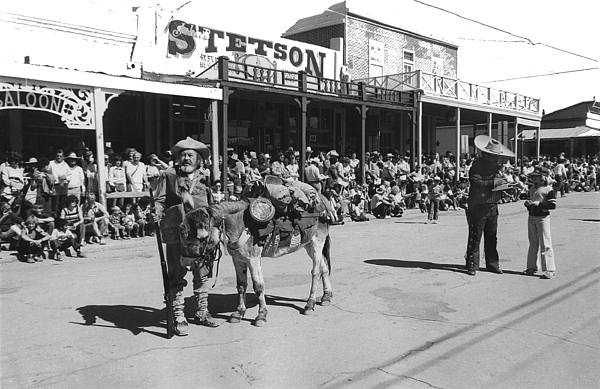 The late Jack Hendrickson was a fixture in Tombstone, Arizona for years. Jack owned the Lucky Cuss Restaurant/theater where his speciality was barbecued spare ribs. Jack was mayor for four years and served on the city council council for eight. He passed away in 1988.